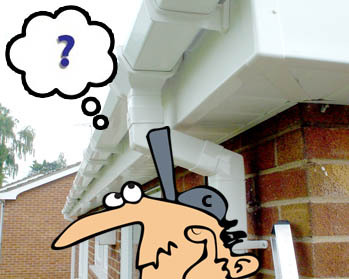 Cost of fitting capping fascias – Simple capping including new guttering. 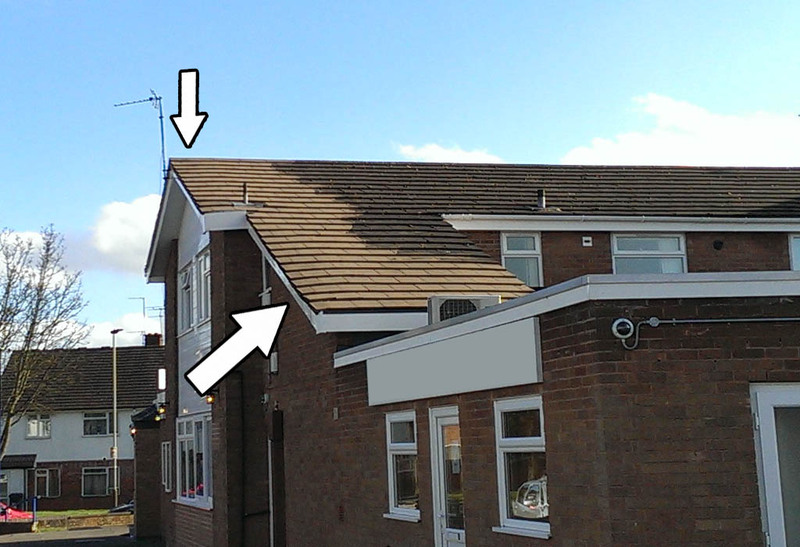 Cost of fitting new replacement fascias – Full replacement with new guttering. Let me lay my cards out on the table right now, from a money point of view I would prefer to fit full replacement because it takes longer and I earn more money from you, the customer. But if the condition of your roof is agreeable to either system I wouldn’t care whether you choose to install capping fascia, or decide to fit full replacement fascias. And I’m not quoting for your job anyway, so I have no vested interest. 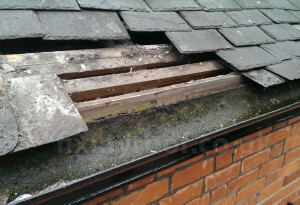 I have been in the roofing industry over 30 years and have seen some horrendous messes and fixed them. In this article I will tell you the truth about fascias and the fascia fitting industry, sales tactics and the misleading information peddled by the naive or dishonest salesman, the misinformed roofers, builders and fascia fitters. As you read on, you may read this article and think that it’s pro capping fascia, but that really isn’t my intention. I really don’t care what your preference is and what you do to your property, I’m just trying to give a balanced viewpoint on fascias and the fascia industry – minus the spin. And hopefully you will be more consumer aware when installing either after reading this. 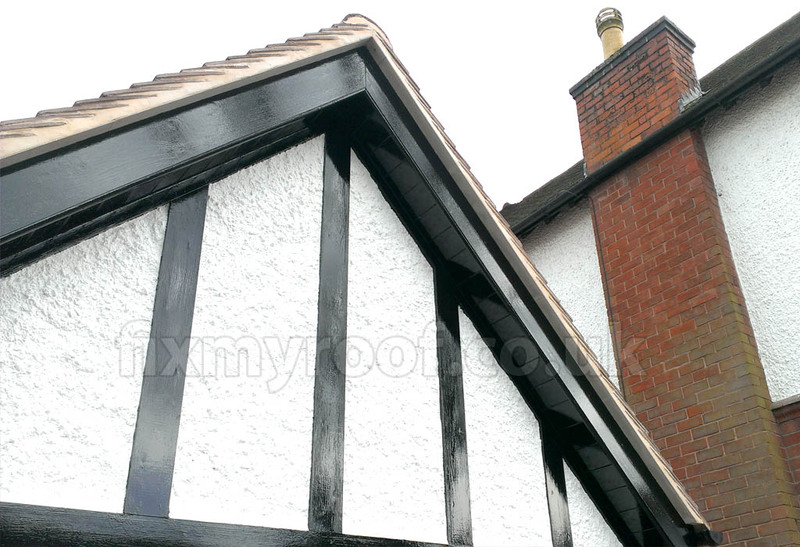 Capping fascias – If you do simply want to never paint your fascias and soffits again then over capping, or over boarding as it’s sometimes known is very viable and will be a excellent option that will yield decades of trouble free service if installed properly, providing that all the correct trims are used and it’s fitted professionally. However your wooden fascias should be inspected for rot first or infestation by the person who provides the quote, from a set of ladders to every elevation, no excuses. Small areas of rot can be replaced with matching timber, treated, then capped over without any problem if required. 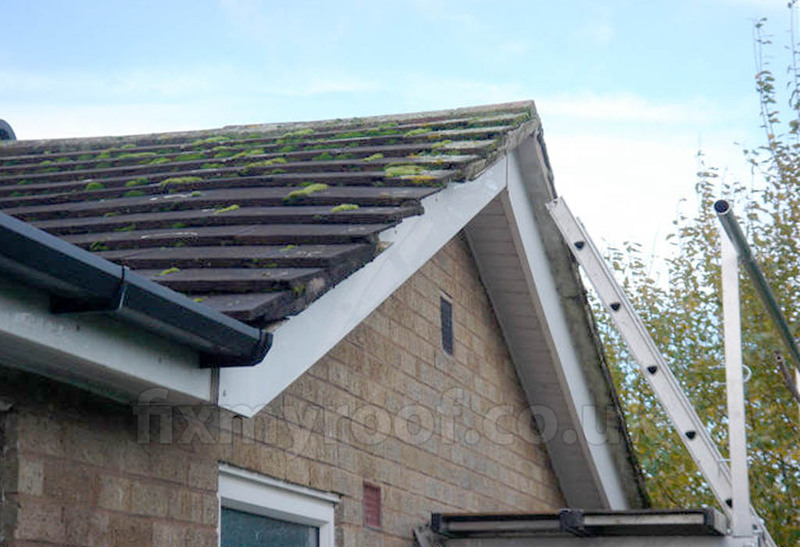 Full replacement fascias – The absolute best solution when any sort of infestation or large areas of rot are found, and this includes the very top edge of fascia boards if a roof problem such as inadequate roof pitch and a lack of tile or slate cover into the gutter has caused extensive wood rot in that area. Full replacement however does have knock on effects into roof structure strength and roof detailing like verges, gables, hip ridges and roof tile support which we will talk about later. 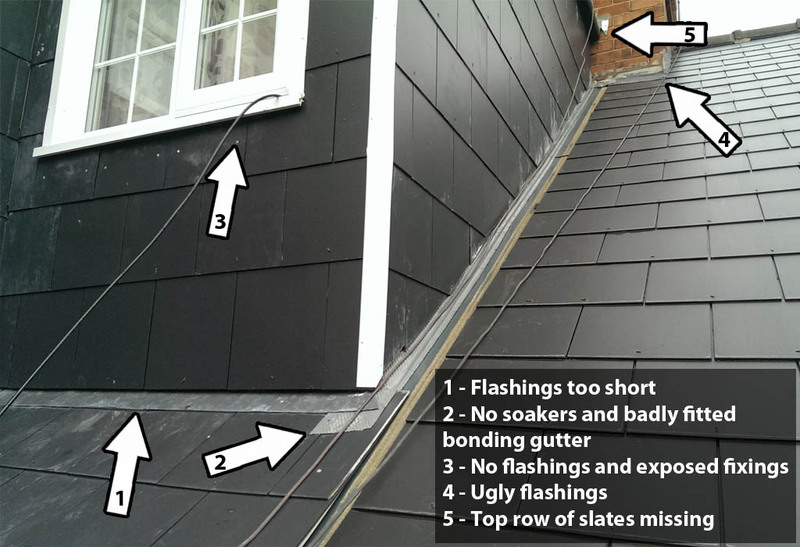 Correct installation technique is vital for long term roof strength. Because of the lack of skilfull installers pure and simple. Unfortunately the fascia industry as a whole has lent itself to unskilled and unthoughtful individuals who don’t give a damn about quality, have never constructed any traditional wooden fascia and soffit structures, and do not understand or care about structural strength associated with it. If they make it look good from the floor they will get paid and so will their bosses, pure and simple. This is very true of full replacement as well as capping fascias where the apparent ease of ‘nailing up some cladding‘ and pumping gaps full of silicone attracts morons who cap over rot and ignore dedicated trims and adequate fixings. 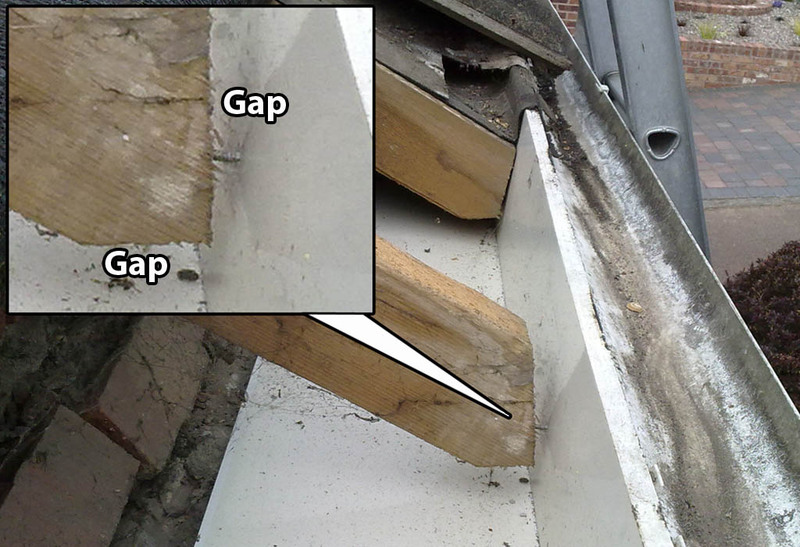 Prime example – Here the capping fascia is badly fitted and fallen off on a brand new job. This is the sort of ‘workmanship’ that gives capping fascia a bad name. Incorrect trims, lack of thought given to expansion, and badly fixed. But hang on a moment, lets look at the rest of the work here to get a fuller picture. Bad workmanship not bad product – This chap was never going to fit capping fascias properly was he? This is just scratching the surface, trust me, it was a nearly endless list. Do you think he might cap over rotten wood too to earn a few pounds? Yes me too, this perpetuates the myth of capping fascias being a bad system. I’ve heard a lot of professional replacement fascia installers talk about the old wood rotting behind capping fascia, this in my honest opinion is a result of someone capping over already rotten wood. Still it makes for a good scare story, true or not. A fascia salesman’s job is to get the most money he can from the customer, this will often entail trotting out a few untrue horror stories about rot, sweating, condensation and how capping fascias are fitted by ‘cowboys’. Then once the contract is secured the cheap labour turns up unsupervised by anyone, and often fits everything without proper timber support or the correct trims. We call these “monkeys with hammers” which seems to describe them best. Strength – Plastic has a lot of desirable properties but structural strength isn’t one of them as you can see in this picture. An extra bucket was needed just to stop the plastic fascia touching the floor. If you replace wood with plastic, additional strengthening has to be inserted to compensate for it’s lower structural strength in all directions. Perversely for potential damage to your property full replacement is worse than capping, because of possible installer error. Wood is stronger than plastic period, no debate. When your original timber construction is removed the weaker plastic is fixed back in it’s place, this is fine if the rafter ends are strengthened with timbers to support the soffit, and present a good fixing opportunity to the fascia that isn’t just the old end grain of the rafters. But most often than not this strengthening doesn’t occur. New full replacement fascias – 1 Year old to be precise. Have a good look at this picture, can you see the end of the roof starting to fall and sag. Follow the ridge line along the top to the arrow. Can you see the start of the dip? 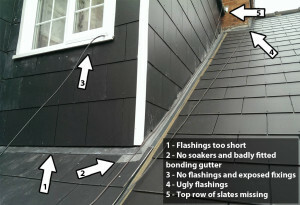 The lower second arrow shows the weight of the tiled roof pressing down on the plastic fascias, see the dip in the tiles? Ironically had the original timber fascias been capped instead, the roof structure would not have been weakened, in fact it would be stronger. Capping is for ‘cowboys‘. In a primitive attempt to look knowledgeable the cowboy tag comes out to play and is normally used more than once, this is an attempt to belittle anyone with a differing opinion to the more expensive option put forward, hence making themselves look like experts. More often than not there is no bigger cowboy than those who use this label in all aspects of the building trade, keep an ear out for this one. “Your fascias are rotten” or “will rot”, again the word rot will get used a lot. The fear of rot is a powerful thing and an excellent marketing tool. Once you know your fascias are rotten who in their right mind would do anything but full replacement. Experience has taught me that often flaking paint is mistaken for rot by the homeowner and only a thorough and unbiased examination from a set of ladders can determine the difference. Rotten fascia boards? – Looks bad from the floor, it must be rotten. You would be surprised how often the rotten fascias talked about are just flaking paint or exposed wood. Don’t believe me? I’ve even cut a chunk of wood out of the top for you to look at. Stained yes, exposed yes, rotten no. Very old fascias – This fascia here is 120 years old and I’m working on the slates above. Just have a quick peek at the top of the wooden fascia, keep in mind that the roof has no underfelt and the top of the fascia has never been painted. Another myth is that your old fascia will be damp underneath the new capping, and the moisture is unable to escape so it will rot (that word again) the wood underneath. Simply not true. Wood is capped on the front and bottom faces only leaving the back and top of the wooden fascia open to dry air in the loft, and the exposed faces are now clad with waterproof UPVC. In the unlikely event you have bad condensation in your loft you should have roof tile vents fitted, not for your fascias, but to protect your roof structure as a whole. Another popular tale is that with capping fascia you lose distance between the end of the tiles and the fascias (roof tile overhang is reduced) and the gutter will overflow and rot (that word again) your timbers behind the capping fascia. 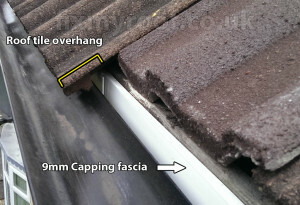 Whilst there is an element of truth here capping fascia is only 9mm thick, and on an occasion where this does reduce your tile overhang below the recommended 50mm, plastic eaves protectors (felt support trays) should be fitted, or if not possible and on a tight budget, a good quality UV resistant DPC membrane. In exactly the same way, it should be fitted for full replacement fascias too should it be required. Again this is not a fault with the product but an installer issue. Capping fascia – This is the capping fascia before the installation of felt support trays, although technically not needed because of the generous tile overhang. I’m sure you can work out the roof tile overhang from the picture if you want to. Secondly, if the guttering is installed properly it will not overflow onto the face of the fascia unless there is a blockage, the same blockage that affects any type of fascia, either wood, capped or full replacement. Another thing sometimes said is that capping fascia can obstruct window openings. Yes, an extra 9mm to the bottom edge of your fascia on very rare occasions may impede window opening, but so can fitting full replacement too low, so adjustments should be made. Any idiot that doesn’t check to see if a window will open afterwards, can, and probably will make other mistakes to anything they fit. Check to see their shoes are laced up correctly. What calibre of fascia installer wouldn’t think about this… for goodness sake it’s their job, once again we’re back to installer competence. 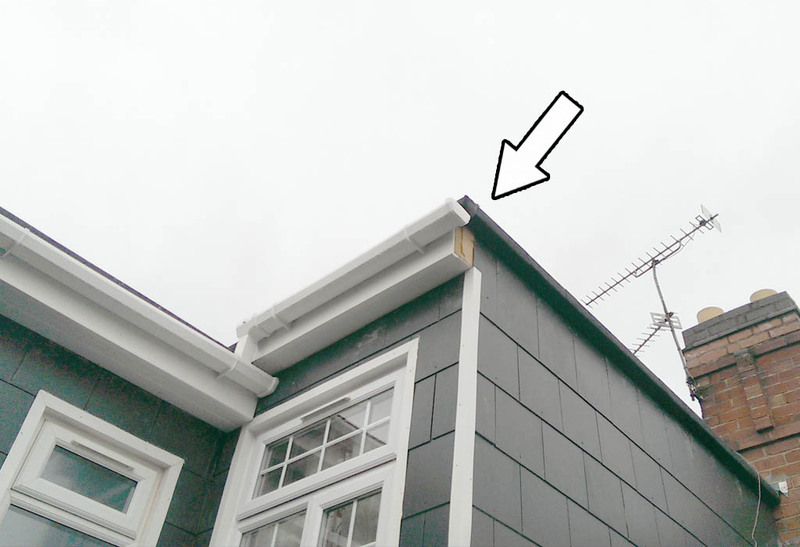 The removal of timber bargeboards to gable ends will loosen the mortar sandwiched between the roof tiles and the fibre cement soffit. This is because the soffit strip that supports the mortar is in turn supported by the timber fascias which are very often fixed into by galvanised clout nails through the soffit strip itself. Gable end verge – Have a look at this brand new timber construction, she’s pretty isn’t she. It takes skill to create one of these from scratch, as any carpenter or good roofer will confirm. Now what do you think happens if someone rips off all the wood with a crowbar? Removing the fascia timber has the knock on effect of damaging the mortar to the verge. These should really be re-bedded onto new soffit strips and fresh mortar. Has anyone mentioned this problem or quoted for it? No I bet they haven’t. Don’t worry though you will be none the wiser for a year or two, in which case all responsibility will be denied. Gable end – This fascia construction was actually structurally sound, but here I have replaced the fibre cement soffit strips, re-fixed them and re-bedded the tiles and end ridge tile. These were all conveniently forgotten items that were affected and loosened by the fascia installer then left as a future surprise for the homeowner. 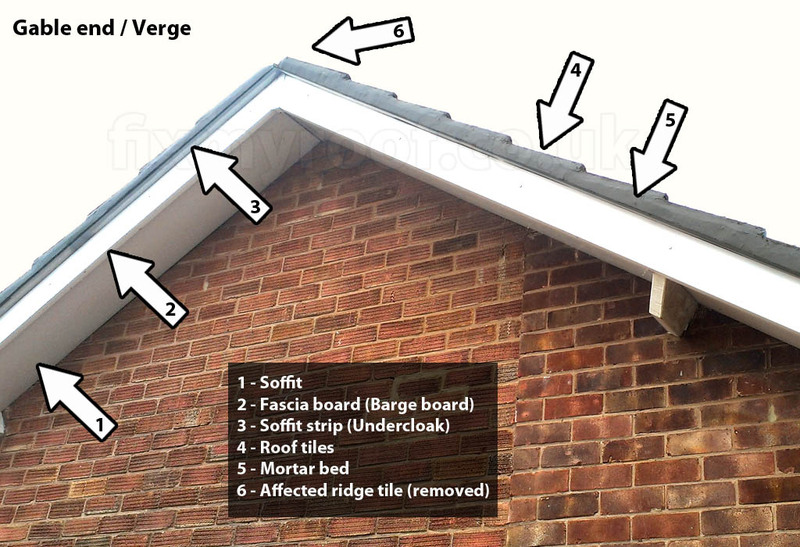 End ridge tiles will also be loosened by the removal of timber bargeboards as seen above, as they rest on the tiles to the gable end verge. Now lets have a look at slightly more serious potential damage with full replacement in the hands of a shoddy installer. Structural damage – Levering off the old wood for a better job? I’ve repaired lots of full replacement fascia jobs. 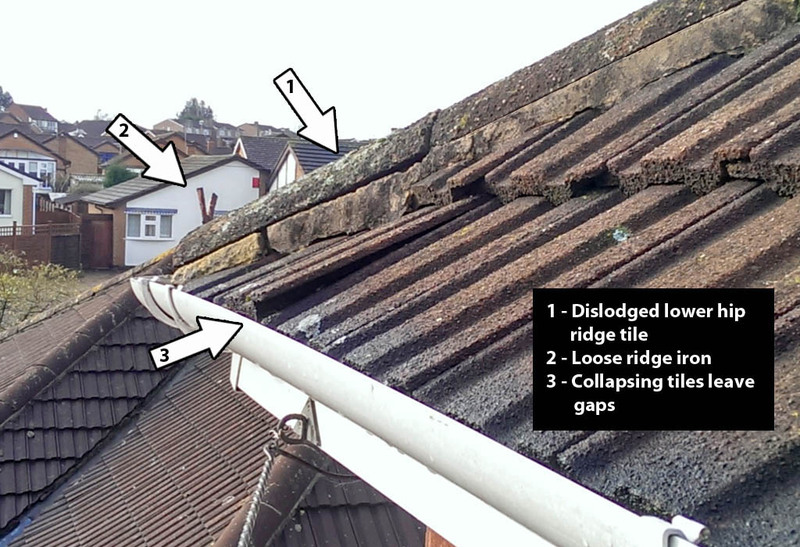 Collapsing fascias, gable ends falling off, ridge tiles loose. 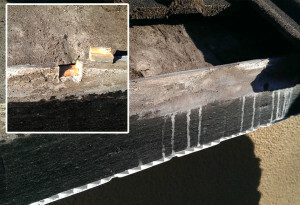 The strength of the timber has gone, the plastic cannot bear the weight over time as the remaining timber sub structure has not been upgraded to allow for weaker plastic. Just look the the sag caused by removal of the original wood in the picture above. And again – Here I am again stripping off full replacement fascias to do the job again. I have just started to repair and upgrade the timber laddering to another gable end. Well that’s covered gable ends, lefts have a look to see what else can be affected adversely by full replacement…. 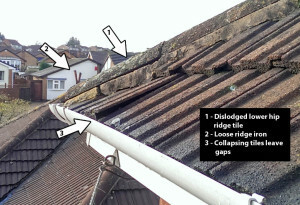 Bottom ridge tiles at the hips (hip ridges) are normally not removed and re-bedded either, leaving them siliconed or simply pointed up with the original rusty hip irons. 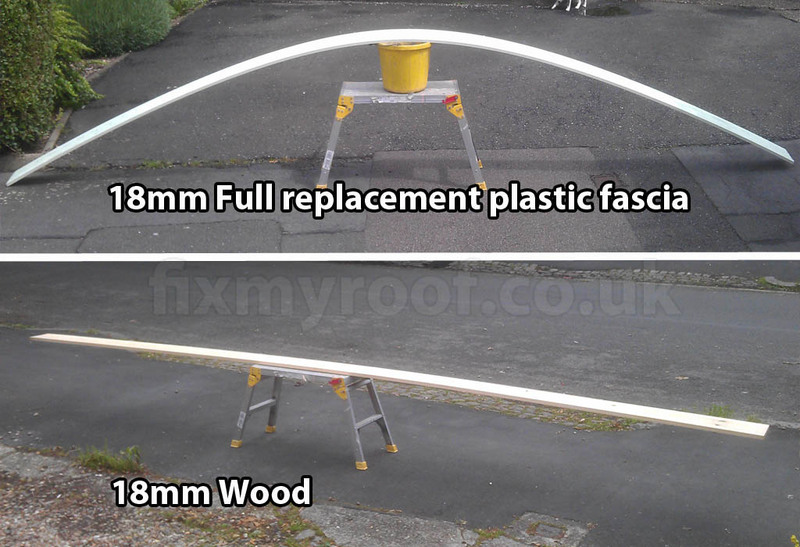 Again the timber fascia provides support to hip ridges at the bottom of a roof, removal of timber fascia will leave these loose, a nice little gift overhanging near your front or rear door. Quoted for? If you’re lucky. Actually done? Not very often. 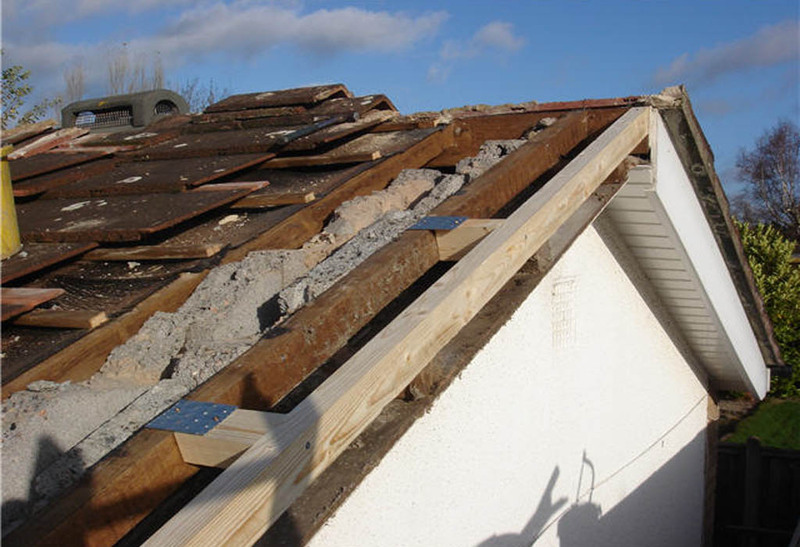 Loose hip ridge tiles – Removal of the wooden fascias that support the bottom tiles and ridge tiles will of course disturb the mortar bed and ridge iron. 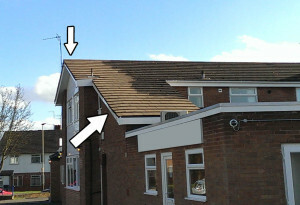 Fascias support for not only your guttering, but the bottom section of roof around the entire property. Salesmen will not mention that wood is stronger than plastic. By far the most costly repairs I make to fascias are not for capping, but to repair full replacement fascias. This is most often caused by a lack of timber noggins that should be ideally installed to provide non end grain fixings for the 65mm (2 and a half inch) stainless steel pins that support not just the fascia and the guttering, but the bottom 90cm (3 foot) of roof tiles or slates. End grain fixings – This fascia is collapsing and rolling away from the house and this isn’t an uncommon sight for me. It may take 5 – 10 years to reach this stage but it was always coming from day one. The weight of the roof tiles and expansion and contraction works its magic, you cant escape the laws of physics. All plastic expands and contracts. Expansion joints and allowances are factored in for both capping and full replacement by the manufacturer’s, and this isn’t a problem if planning is made for this by the installer. Full replacement however requires the removal of the existing wooden fascias, so now you only have the original roof rafters with old end grain as a fixing unless additional timbers are added. Without additional timber noggins, the weight of the roof combined with expansion and contraction will have the effect of wiggling the fixings back and forth in the old end grain and elongating the holes. This means the fixings can pop out in later life, as seen in the picture above. This is especially true as the height of the fascia gets larger and the tiles push against the top of the fascia and lever the fixings more. Whilst end grain fixing is adequate in wooden fascias typically fixed with 100mm mild steel nails, wood has a much more favourable expansion and contraction property than plastic, meaning it will not have undergone these stresses, and fixing into the end grain will yield a much better long term grip for a wooden fascia. The only time I would fit plastic fascias direct to a rafters end grain, is with small height plastic fascia, say 150mm (6″), and then only if it was in excellent condition.When capping fascia is fitted however, the fascias are typically fixed with 50mm (2 inch) stainless steel pins. These fixings pass through the length-way grain of the existing wooden fascia, and even with the wiggling motion created by the expansion forces mentioned, the fixings remained clamped between the lengthways horizontal grain above and below the fixings. 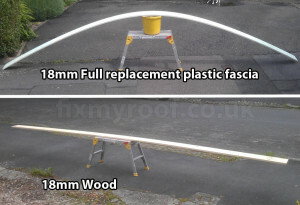 The truth is that both of these fascia systems are very good in the hands of a good installer, unfortunately I would say that the skill level that has always been variable has probably declined with the expanding fascia market, especially at the budget end of the installation scene for whatever system you decide upon. The problem with full replacement fascias is that unskilled installers can leave your roofline substantially weaker than is should be, disturb your gable ends, verges, ridge tiles and timber structure. If you have a poor installer fitting capping fascia, it will probably just be a mess, but at least the structure of your roofline will not have been weakened. How much is the cost of capping fascias ?